MiCloud Connect (formerly ShoreTel) Review: "MiCloud is a great benefit to our company"
We currently use MiCloud Connect to handle the call and email volume at our company. It is through this program that we get our calls for customer service, retention, and sales. We also use it on our email team and with our ticketing system so that our email agents can respond to customer inquiries quicker. Without MiCloud, we would not have a proper system for handling the many customer calls that we get every hour. It is a great management system for that purpose. It is very easy to use. Simple navigation with easy to use features and not too much guesswork. Great handling for email distribution. Minor glitches from time to time. For instance, it does not always open automatically when I start my computer. Maybe some improvement with menu and information location. Fewer clicks to get to call history, for example. I believe it is handy for many applications, whether for a lone user or for a company with many employees. It is great in a call center environment as it is ideal for handling incoming calls and emails and distributing them as needed. Also, a great program for tracking missed calls, call durations, scheduling, etc. MiCloud Connect (formerly ShoreTel) Review: "ShoreTel - a great product for any SMB"
It's easily upgraded when a new version is released. ShoreTel is great with expansion. The SDK was key in deciding on a VoIP solution. Newer versions are slightly behind the times in supporting things like Office, and 64bit OS. MiCloud Connect (formerly ShoreTel): "MiCloud Connect Review"
We have been using MiCloud Connect across the whole organization, spanning multiple sites. We use it as a phone system and unified communications. We use work groups for several teams and a good portion of our staff uses the connect desktop software. Would like a traditional call forward option. Greater analog ports on-premise gear. Great for small to medium-sized business, scales well. Fine for larger organizations too but may want the enterprise contact center. MiCloud Connect (formerly ShoreTel) Review: "Essential for Office Communication"
I wish all medium-sized offices utilized ShoreTel. Making transfers and answering calls is just so simple and easy. I only really needed to make one or two calls in order to get the hang of the system and it's also a breeze to move on from one call to the next. There's really not much I dislike about ShoreTel, to be honest. It makes my job (and life) just a lot easier especially during busier parts of the week. I also really appreciate having the ability to one-click a colleague in order to connect with them over the phone. Its ability to connect to other members in the office is seamless. Making interoffice and out-of-office transfers is very simple. Logging in and out for breaks (lunch, personal, and otherwise), is really just two button clicks. I wish it were easier to pull-up past calls in order to discern details shared in a conversation. Accessing voicemail from the ShoreTel communicator isn't exactly as clear as making calls and transfers. The labels in call history are a little bit confusing sometimes. Medium to large-sized offices are what really benefit from this software. Small offices with less than 20 staff members don't really need to utilize this, I don't think. Offices that have a larger surface area or multiple locations also benefit from this, so again, smaller places I doubt would really reap the benefits of this. MiCloud Connect (formerly ShoreTel) Review: "Shoretel is made for all business models, big and small!" It is being utilized across the whole organization. 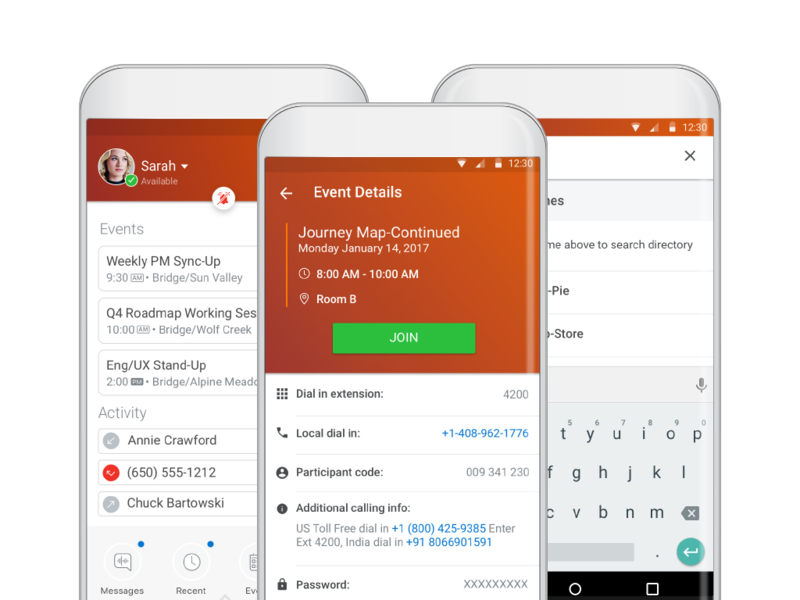 The system makes it easy to be contacted and opens up voicemail access with the ability to "sign in" to your phone from any Shoretel handset in our organization. The paging system works better (and is cheaper than the installation of) on ceiling speaker systems by utilizing the phones. Instant Message feature is useful for interoffice communications and takes a load off of the e-mail server as well. Instant Messaging system built into the ShoreTel Communicator that installs on the desktop, allows you to see call history, dial out, listen to voicemails, send IMs - all without added stress on Exchange Server. The handsets are intuitive for use, with plenty of programmable features. Server set up is simple, intuitive and easy to maintain over time. Over 6 years we had two issues that were resolved through ShoreTel's adding ability, the company is highly responsive to suggestions and critiques. At this time there are noticeable shortfalls in the tech or the software. I have seen this system in very small businesses (<10 personnel) and in ours which is roughly 150 employees, and I have heard from colleagues about much larger enterprises that utilize the same software and hardware with no issues or regrets. MiCloud Connect (formerly ShoreTel) Review: "ShoreTel Easy and Rock Solid"
Shoretel is implemented as our phone and uc system. Well suited for most organizations with over 20+ users. We do not have any remote users yet, but this solution would work well for remote/road warrior employees. MiCloud Connect (formerly ShoreTel): "ShoreTel review from the trenches"
ShoreTel provides voice over IP phone services for our entire company. 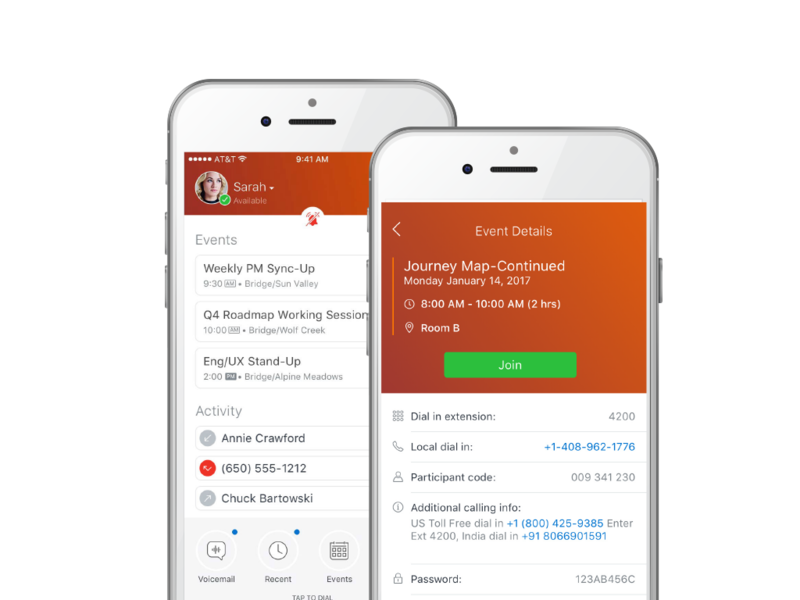 ShoreTel allows us to place inner office phone calls and provides a company directory as well as instant messaging between users and teams. ShoreTel has instant message capabilities that allow users to communicate without interruptions. ShoreTel has been around for years and the company is stable. It just works, we've had zero service interruptions that can be directly attributed to ShoreTel. The user interface looks like something straight out of the 90s. Shoretel is a great mid-sized business phone solution that just simply works. The older 100 megabit phones are competitively priced and very reliable. With some quick notes on how to configure accounts and extensions the system can be easily managed. MiCloud Connect (formerly ShoreTel) Review: "ShoreTel VoIP PBX"
We use ShoreTel IP phones, ShoreTel communicator software, and switches deployed across our entire organization which consists of five offices. We are able to stay in touch with our remote offices via four digit extensions versus dialing the local phone number. Our customers can get transferred to the appropriate party regardless of which office they call. Updates to the system are cumbersome. ShoreTel is well suited in companies ranging from small to large and in most industries. The true value is in the ShoreTel Communicator software that is installed on the users' computers. It works in conjunction with their phone. Transferring calls, conferencing, placing on hold, listening to voicemail, can all be done via the software. MiCloud Connect (formerly ShoreTel) Review: "ShoreTel has served us so well, I make sure I tell all I can about it"
We use ShoreTel across our entire organization which includes two branch locations and a home office employee. 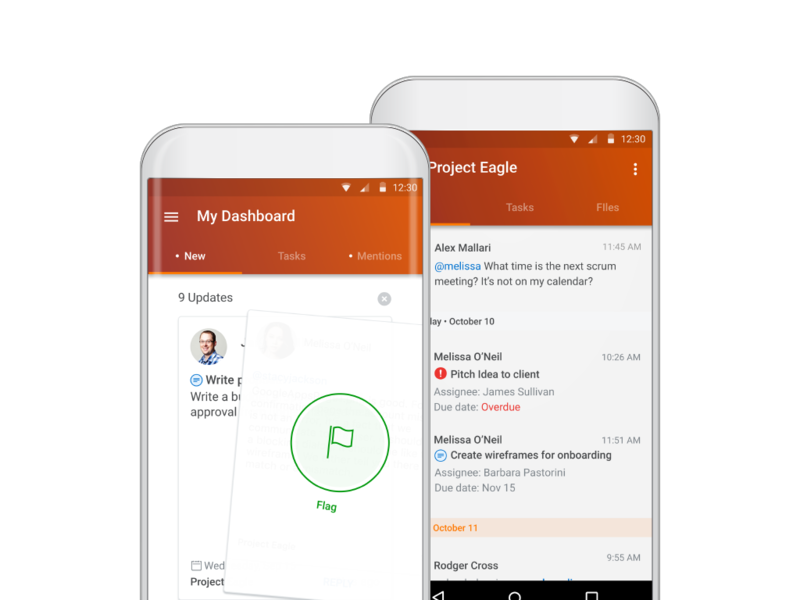 We needed a solution to manage phones and call routing across our organization, and utilize data networks to reduce call costs too. We also needed a solution that could be managed fairly easily by in-house IT staff. We wanted a way to evenly distribute calls to an inside sales team and ShoreTel accommodated that need too. Ease of phone management - easy to deploy; easy to relocate; and, easy to reassign extensions. Ease of overall system management - one pane of glass for all our switches, phones, users, call routing etc. Regular product updates and feature additions and/or refinements - listens to their customer base and provides clear upgrade paths. Encourages third-party enhancements and affords ease of integration to broaden the range of their already robust IP telephony solution. While very good reporting is offered via a third-party, it would be nice to have more report offerings baked in to the boxed solution. Being a very reasonably priced solution compared to its competitors, ShoreTel would be well-suited to small, medium and large organizations. The recent cloud offerings afford deployments with minimal capital outlay for equipment. The solution makes management of an IP telephony solution much easier and centralized if so desired. Other than a very small organization conducting business without a physical facility, I think ShoreTel is capable of being successfully deployed in most organizations. MiCloud Connect (formerly ShoreTel) Review: "Shoretel sky is great for multiple locations"
We started using ShoreTel Sky about 3 years ago. We were in the process of moving buildings and ShoreTel Sky made moving easier as we could keep some staff up and running in the old location and start using the new building with the rest of the staff. It worked like we were still all in the same location. We have grown to 30+ phones now and it has been great for adding and changing employees. We don't have to have anyone come in or need any experts to make changes. It's easy to just use the portal. Adding and changing employees is very easy and only takes a minute. Setting up call flows is not too challenging. We have specific ring groups and settings. Moving the phone to different locations is a breeze, just needs a POE Ethernet connection. Call flow could be easier and more streamlined. The iphone app never worked for us. It should be reworked to copy the Cisco phones. The monthly expense for adding features adds up. If they included all the features, they would be fantastic. Are you a constantly changing company? If you are making changes to your phones and office staff more than a few times a year then ShoreTel Sky will save a lot of money in the long run. Do you have remote staff? We use several phones in remote locations, they just need a good internet connection and a power brick to run the phone. MiCloud Connect (formerly ShoreTel) Review: "Unified Communications is a cinch with Shoretel"
We use Shoretel IP PBX across our organization, plus our customers as well. The Shoretel Communicator client is extremely convenient and efficient for our business needs. The Outlook synchronization works particularly well along with the quick dialer. Being able to type in a partial name or phone number and then click on a name to call a contact directly is very useful. It automatically adds all of my new contacts and their numbers, email, etc. Voice quality and QoS is excellent. We never have any issues of latency, dropped packets, static, etc. DSCP QoS tagging works out of the box as long as you enable it on your network. Shoreware Director, the administration portal is very user friendly, and doesn't require the end user to be very tech savvy. Everything in there is pretty self-explanatory. Creating users, changing numbers and extensions, MAC work are all very simple with minimum training. There are some minor issues with software bugs on new build releases. Quality control with the phones could be better. They have about a 3% failure rate in our experience, but the RMA process is quick and painless. Is your organization ready for VOIP and Unified Communications? If you already have a solid Cat5e/Cat5 network in place and PoE switches making the transition is easy. Also, if you are moving into a new facility that needs cabling you can save yourself some money by going VOIP instead of installing separate wires for analog phones. MiCloud Connect (formerly ShoreTel) Review: "Great phone system that ShoreTel is"
We are using ShoreTel across our whole organization. We have two locations, one in Cleveland, OH and one in Davie, FL. We are using an MPLS and the users are able to reach other using 4 digit extension to extension dialing with great clarity. We used to have two systems separate and it took a lot of admin work to get them to work nice together but now everything is seamless and works great. Administration is a breeze. We are able to add extensions and users very quickly. We are able to assign phones quickly. Plug it into the network, and we are up and going within minutes. Love the softphone features with the desktop application. I can quickly look at voicemails and select the important ones without needing to weed through a bunch of non mission critical information. The admin panel does not work with browsers other than IE. I would love to see added browser support. We sometimes need to re-use extensions when people move departments. It would be lovely to have a feature to reset a user account VM quickly. Currently, we have to set the user to extension only and then back to extension and VM to have it reset. Great for medium sized businesses with lots of users. It deploys very easy. You can hand a phone to a user and have everything configured for when they plug it in. Desk moves are super simple. The user does not have to take the phone, they can simply be swapped quickly to a different handset. MiCloud Connect (formerly ShoreTel) Review: "Amazing Customer Service / Support"
Cloud based PBX - Phone from anywhere. Redundant / Backup System not fully implemented. We have been Shoretel customers for several years on their Sky platform. The first 6 months of service was shaky, but Shoretel improved and everything was great. Starting sometime last year (early 2016), we noticed that it was taking a much longer time to reach a support agent; hold times going from less than two minutes to well over 30 minutes. We didn't think much of this, as the service worked great and we rarely had to call. When we did mention our frustrations at long hold times, we were assured that the problem was only temporary while they trained all of the new employees they hired. In January we were sold on changing the Sky service to Shoretel's Connect platform, as we were told the CRM integration was more robust and there were hundreds of additional reports we could run for metrics. We made the change in April, and it has been non-stop problems since then. For the first 7 weeks on the "Connect" platform, there were backend database synchronization issues going on that kept locking users out of the queue, portal, and their phones. Finally after discovering the problem, we were told that it would be another month before the fix was implemented. Even after the fix, the problems did not go away. Daily we have users that are unable to log in, users that get kicked out of phone queues, phones that get logged out/disconnected, mobility applications that don't work, softphones that fail to see USB headsets. Shoretel's support, during all this, sadly did not improve; but got worse. Every call I have made, has resulted in a minimum of 30 minutes on hold before getting a rep on the phone. During a recent issue, we called in and were told we were 132nd in line; after 30 minutes we were 123rd in line. Overall we wish we had not migrated from Sky to Connect, especially since there is no reverse migration available. Had we know how bad Connect was, and how unimportant we would be treated, we would have never switched. I suppose it is possible to not have a bad experience with Shoretel, as there as several good reviews out there. My question to anyone that asks is, do you really want to take the chance? MiCloud Connect (formerly ShoreTel): "ShoretelSky Review"
ShoreTel Sky's customer support is among the best that I've seen while in the industry. Though I generally enjoy ShoreTel's Customer Support a few features that are supposed to work whenever we add a new user stopped working, and I constantly have to call to have support manually do it for me. I keep getting told that it is supposed to be automatic but they apparently can't figure this one out. MiCloud Connect (formerly ShoreTel) Review: "From the perspective of a single technology user." ShoreTel is being used at my previous work place by the whole organization, it is being used for internal communication between the employees and also for external communication by marketing and support staff. As for my personal usage of ShoreTel, I had to interact with it in a very minimal manner considering that I was a software engineer seated right next to the whole software team, I only had to use it to either contact IT support or HR, so I would describe my usage as inter departmental. From personal knowledge, I do know that it was much more widely used by people who used to work in the marketing/customer support divisions which was of real value to the company unlike with the software department where it was used occasionally. I can strongly say that the communication channels were always very clear and there was no breakdown of any kind throughout my 6 month work period. Since ShoreTel associates your profile with the phone it feels like the experience is very personalized. For internal communication purposes it is not necessary to dial a huge number, this makes it quick and efficient. I don't think that ShoreTel is of much value to teams that are more closely located in the work space. I do believe that extending functionality in ways like integrating meetings schedule and reminders might make it more useful. It is a wired device which restricts movement, adding a wireless device to the collection might be a good idea. It does not have a specific feature to group people under a single name, I would have liked to have seen a feature that allows users to group a set of people under one particular tag and be able to send them voicemails and as so on. I think the best suited scenarios are places where there is a lot of inter departmental communication, for example HR contacting employees regarding various issues, and also for external communication like marketing and technical support departments. A less appropriate scenario is to use it in a team which is seated in the same room, I can relate to this example. However, if it is being used organization wide then it does serve its purpose to such teams as well, since people from other departments can contact them for a lot of various purposes. I am sure that it can be made more useful for inter team communication as well by adding features considering inter team communication as a usecase. MiCloud Connect (formerly ShoreTel) Review: "ShoreTel: It's not Cisco, but it's not bad either." ShoreTel VOIP and the applications are easy to use and cost effective. We use the service across multiple sites and in a few call centers and have very few problems. Shoretel is cost effective. I am a Cisco fan. I love Cisco VOIP and their products, however, working for a non-profit, we didn't have the budget to deploy a full Cisco VOIP system. Call Clarity. The call clarity with ShoreTel is nice. Like all VOIP systems, it does require some adjustments with the settings, but once you are done, it sounds great. Their phones feel cheap. They feel like they were made with cheap plastic, and we have probably replaced almost 40% of their phones because they quit working or had issues. Their warranty covered the replacements of these phones. If you can afford a Cisco VOIP solution, I would recommend that. But, if your budget is tight and you need a nice solution that is easy to manage, I would recommend ShoreTel. MiCloud Connect (formerly ShoreTel) Review: "User Friendly"
We use shoreTel for sourcing, sales, meetings and remotely. It is being used by the entire organization. It fast and convenient, I can make phone calls using the computer instead of using the actual phone. Sometimes we do have issues like if the internet is down then we would be able to place or make phone calls but other than that one issue ShoreTel is great. When the system is down, it quickly gets back up and running. I like how when I am working on my computer with my head set on and i receive a call, I don't have to like at the phone caller ID to see who is calling me. It pops up on my screen, I am able to answer it with at click of the mouse or transfer the call with a click as well. Also send a text, however the text feature could use a higher character limit 135 is not enough some times. MiCloud Connect (formerly ShoreTel) Review: "For the non-technical user, ShoreTel phones are a no brainer"
ShoreTel is being used across our organization. It allows for seamless interaction between our two offices and increases productivity here at our main office by giving us communication options. From 4 digit dialing, to the internal chat function on Communicator, to being able to check my voicemails from Outlook, the ShoreTel platform is second to none. We are pleased to be using it daily, and we are proud to be a ShoreTel reseller, too. Conferencing- Once I set a meeting for a certain time period, I cannot go and change it mid-stream. In other words, if I know we're going to run over the 45 minute allotted time, I cannot go change it to 1 hour in Outlook. I will still get cut off by the system. ShoreTel app for Android- every time I open it, it closes (and I get a message about this), and I have to open it again. I've reinstalled it several times, and it continues to do this. It is great for all situations. Whether you have one office in the US or many offices around the country or the globe, ShoreTel has a platform that can adapt and grow with you. The Hybrid Sites feature is great, too. You can have some sites with an on premise system and other smaller ones with just cloud systems, and they can still work together, as if they were one system (it is one system, basically). MiCloud Connect (formerly ShoreTel) Review: "Shortel Install and expansion"
This is used across the whole organization and allowed us to reduce our PRI circuits down to one, as well as receptionist down to one. We also now have true four digit dialing across the WAN. This results in a net cost reduction of almost $2500 a month. The system up-time has been 100% over 3 years. With separate systems and two locations we used to have to fake the system into 4 digit dialing by forwarding all remote extensions to DIDs. Now with Shortel extended to the remote location we have true 4 digit dialing. The Shortel desktop application makes managing calls and call routing a breeze for even our most novice users. The licensing structure can make the system more expensive than your traditional phone system. The admin interface does not work in the latest web browsers. Haven't seen a dedicated soft-phone app. Well, I have been informed of newer cloud solutions that only rely on plugging the phones into the network and not needing any PRI or phone system on prem. This would make for a very inexpensive phone system. I am not sure how inter-office calls would work if the internet is down however. MiCloud Connect (formerly ShoreTel) Review: "Shore-nuff ShoreTel is still Awesome!" ShoreTel is our central communication tool. The ability to work in and out of the office on one centralized platform is invaluable. My favorite elements of the ShoreTel UC solution is the easy to use conference bridge that is simple to administer and aesthetically pleasing. One touch entry to conference rooms is awesome and I love how simple it is to share with others. I am also a huge fan of the overall look and feel of the desktop client and hardware. It makes our organization appear even more modern than we already are. I would recommend ShoreTel to any business owner looking to improve communications, enhance productivity, and/or improve the appearance of their organization. Excellent reliability with the on-premises solution, I would recommend for any organization in any industry. We support a wide variety of businesses from almost any industry and haven't found one that ShoreTel isn't a good fit for. I would say that if you are looking for a bare bones telephony solution ShoreTel is not the answer. The system is built for those looking to leverage technology - and invest in it. MiCloud Connect (formerly ShoreTel) Review: "Eye on the ball..."
ShoreTel Sky is being used across the whole organization and it takes care of portability and easy access to the telephone system. Quick tech support with 611 dials. Telephone backup and DSR becomes simple with ShoreTel Sky. Setting up new offices is very simple. Configurating telephones and portal capabilitis are very easy to use. Mobile app is very handy and manageable. It's very easy to set up home offices. MiCloud Connect (formerly ShoreTel) Review: "ShoreTel is worth a look for small to mid sized companies with advanced needs"
ShoreTel is being used across our main business unit. We are using its VOIP and call center features. The Communicator desktop software makes common tasks easy. The system is fairly stable and phone calls don't have any issues. The call center software meets all of the company's needs. Their cloud offering seems very overpriced, but would otherwise be a good option. The system administration tools could be easier to use. It seems well suited for a small to mid sized company, especially if users are mobile or geographically dispersed. This is because they offer tools to make those users easy to provide service to. 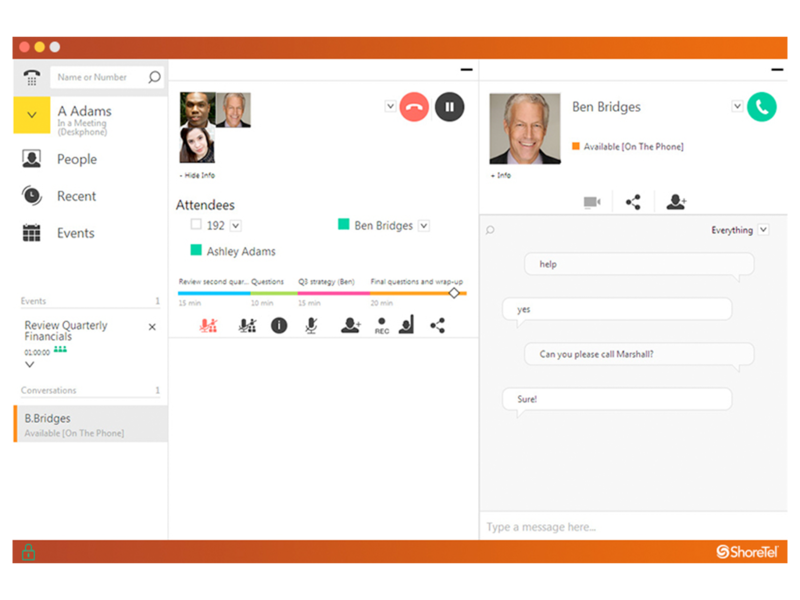 MiCloud Connect (formerly ShoreTel): "Extensive ShoreTel Review: Why ShoreTel is the VOIP PBX Company for the SMB Marketplace"
MiCloud Connect (formerly ShoreTel) Review: "ShoreTel works for our mobile workforce"
Shoretel USED to be great. In recent months their customer service has become wore and worse and they add new fees all the time. MiCloud Connect (formerly ShoreTel) Review: "Shortel makes business simple!" We currently use it as our primary phone system. This system doesn't have all of the features I've used in the past, such as click to call and chat. We have had great success with the features of forwarding, find me, and other features similar to this. I believe it fills our needs. MiCloud Connect (formerly ShoreTel) is a business communications solution that combines a distributed communications platform, intuitive user applications, IP phones, and an easy-to-use management system that integrates with leading business information systems. Voice Switches are purpose-built appliances providing VoIP telephony with reliability and availability. The appliances help extend system capabilities and secure access for remote IP phones and SIP service providers. ShoreTel was acquired by Mitel in 2017; according to Mitel, they will continue to offer and support ShoreTel products, now under the name MiCloud Connect.